Are Chromebooks ready to take on the PC market? Google’s Chrome OS and of Chromebooks are in a very interesting place in 2018. Chromebooks are still the most affordable entry into personal computing but now they are starting to offer a lot more. I recently switched from a Microsoft Surface Laptop, which is a great lightweight yet powerful laptop, to a Pixelbook. 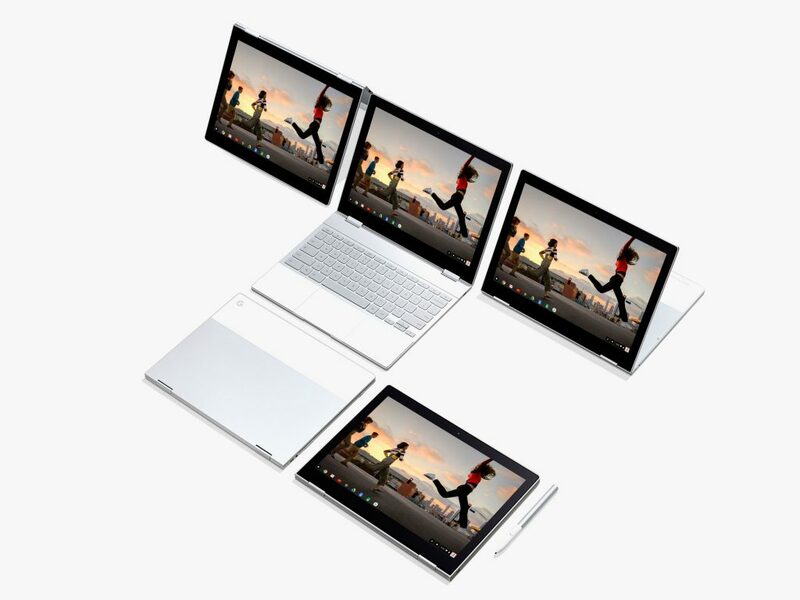 The Pixelbook is a premium designed and lightweight 2-in-1 convertible laptop which has powerful Intel Core i5 processors. It’s overbuilt and overpowered for a Chromebook, but as I realized when I was using it, it is so much more. I was able to find a refurbished Pixelbook on sale and decided to dive in. This device can be used as a laptop, it can also fold into a tablet or used in a presentation or tent mode for watching videos. I’ve been interested in Chromebooks since they came to the market years ago. The idea of an affordable Internet and cloud-connected device that doesn’t need security updates or software updates is very attractive. Earlier versions of Chrome OS, however, were less than ideal. Chrome has gotten better over time. You can now use and edit documents offline and quickly synch them once you find Wi-Fi connectivity. 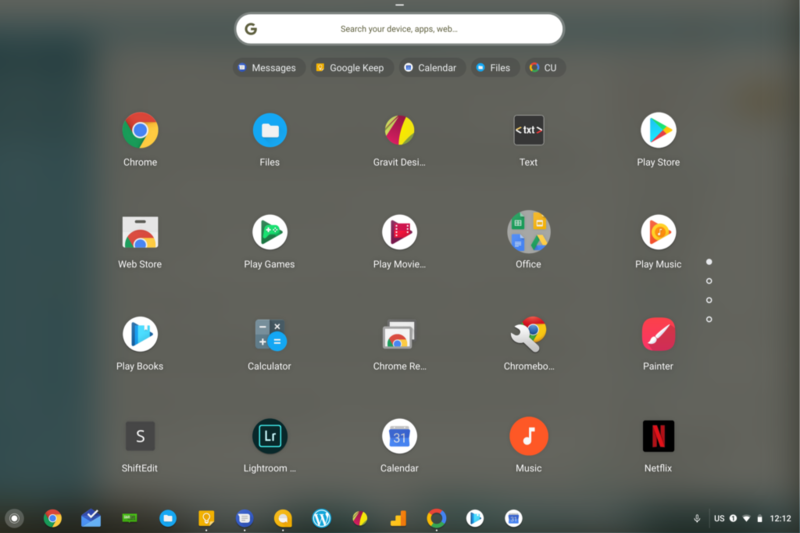 The latest Chrome OS 70 has brought a lot of refinements that makes it look and feel more like a desktop. Using Windows PCs and Macs, we’re subject to constant software and firmware updates as well as open to issues that take time to solve. My Windows 10 desktop recently started sending out errors that my Windows 10 license was expired. This was alarming on many levels because I knew I had a legitimate license. As it turns out, Microsoft was having issues with its servers and this affected its users. Since licensing is not an issue with Chromebooks (and neither are security updates), I found I spent less time fiddling with Software Update or tracking down firmware. The Chromebook Pixel has been rock solid for most of my work online. Sure, it is mostly limited to browser apps but I realized that that’s where I spend most of my time anyway. 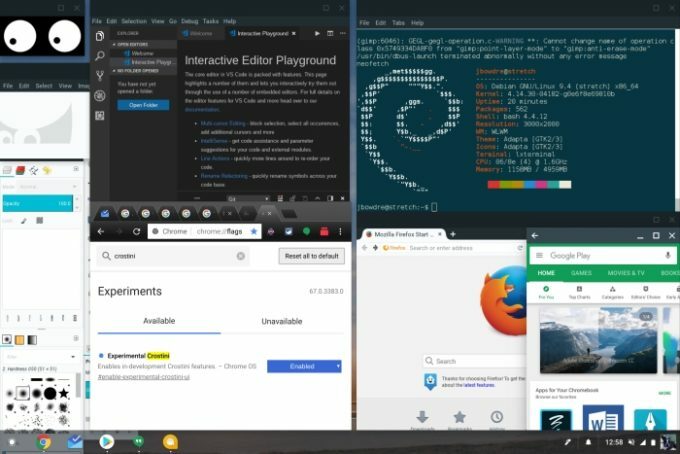 The best thing about today’s ChromeOS is that it can now run Android apps as well as Linux apps thanks to improved base software. This, as you can imagine, is a hit or miss feature. While it is great to be able to access Android apps I use on my smartphone, many of these aren’t designed for a tablet, much less a laptop. Still, there are a lot of Android apps that can approximate desktop versions. There are now options and they are growing. As a Microsoft 365 user, I was delighted to have Word and Excel available although Outlook, which I use for mail and calendaring doesn’t fit in. The controls and navigation are buggy and the text is too small to read. Instead, I searched for and found Nine, a ChromeOS focused mail client and it works just fine. Writing on the Chromebook is excellent, I can use Microsoft Word or web-based editors like Calmly or Hemingway. The Pixelbook can handle basic image editing and resizing, you can access Adobe Lightroom Mobile which is good enough for most needs. I recently traveled to New York with only the Pixelbook as my main computing device and it worked out okay. I understood the need for Internet Connectivity to access most services but I was impressed at how much I was able to get done. What’s Good, What’s not so good. Chrome OS isn’t spectacular for touch use. Even the Pixelbook, with a touchscreen and even a Pen for drawing, pales behind an Apple iPad or even a Microsoft Surface in terms of latency and receptiveness. There’s improvements to Chrome to make tablet use better, Google has released their iPad competitor the Pixel Slate, but I haven’t had hands on time with that product to form an opinion. Chrome OS is best for laptops, that’s all I can attest to right now. Chrome OS is great for working on documents and anything involving Google online services. 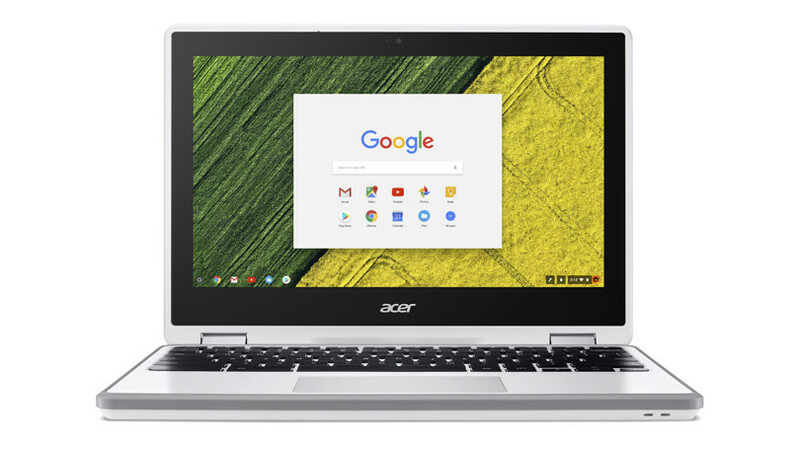 Depending on what users need from their computers, Chromebooks offer a good mix of capabilities. I can see why they’re such a big hit in education and are slowly creeping into enterprise. The lack of Chrome OS apps is quickly being mitigated. The addition of Android apps is huge and should spur developers to create more compelling apps that scale nicely on a larger screen. Being able to run Linux apps on Chromebooks is another leap forward. While the range and scope of consumer Linux programs may be limited compared to Mac and PC apps, but for experienced Linux users and anyone wanting out of PC and Mac ecosystems, they now have a plethora of choices. 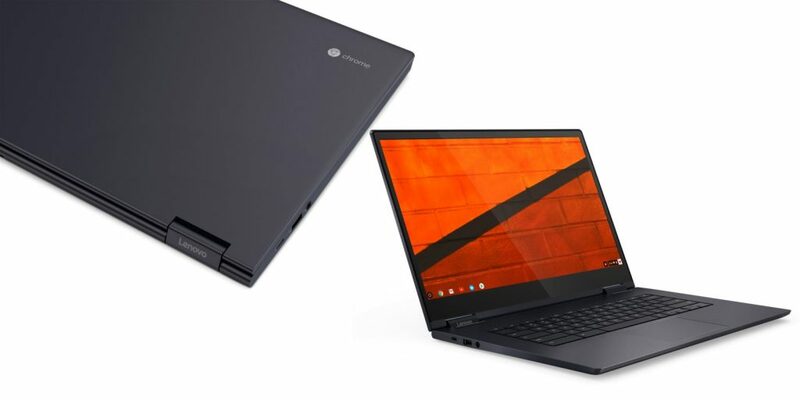 Likewise for Chromebooks themselves, what used to be dinky and cheap laptops with rubber and plastic bodies, now come in a range of sizes, prices and finishes. Dell, Acer, and Lenovo have premium 2-in-1 Chromebooks that rival the more expensive laptops they sell. So, yes. The Chromebook and Chrome OS are well poised to mix it up with PCs and Macs. If you can try one out and see if it fits your needs, you’ll likely find Chromebooks are up to most computing tasks.